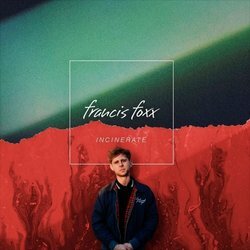 Francis Foxx is a pop singer, songwriter and multi-instrumentalist from Western Australia. Having spent the past two years growing and defining himself as both a writer and performer to watch with other industry-acclaimed acts (Treehouses, J.F.K, Girl York), the Perth-based artist is taking his first steps into the limelight in 2019. I wrote Incinerate at the start of 2018. My partner was working FIFO and it really took a toll a toll. We had to spend long periods of time apart - whenever he flew out to work I’d feel so alone. I've used cinematic acoustic instrumentation with some intimate pop production to convey the emotional struggles of a long-distance relationship.